Creating the new Community Health Improvement Network, a coalition of health care providers and community organizations, to improve access to health care for underserved populations and to strengthen health care providers. Fostering development of the Meridian Freedom Project to provide after school and summer instructional support for low-income students in Meridian public schools (now extended to NE Lauderdale). 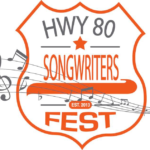 Nurturing the Hwy 80 Songwriters Fest, an outgrowth on TMI's regional Creative Economy Initiative. In addition to supporting area songwriters, the project also provides in-school workshops on songwriting. Helping economic developers in Kemper, Winston, Choctaw and Webster Counties collaborate to win and implement an ARC POWER grant to provide basic manufacturing training and high school Career Readiness testing in their counties. Contracting with the MS Department of Health to provide anti-smoking instruction and programming in Kemper, Noxubee, and Neshoba Counties. Working with area community colleges to attract funding, acquire equipment, and develop manufacturing, health care, and entrepreneur training programs. Offering roster artist education to low-income children at public schools, Head Start, and Boys and Girls Clubs in Lauderdale and Clarke Counties. Serving as a resource and/or providing support for other programs including the Meridian Children's Museum. Helping East Mississippi Community College's Manufacturing Technology and Engineering Division, Clarke County, Habitat for Humanity, and Meridian Little Theatre develop strategic plans. Holding five bi-state regional leadership summits around timely topics related to education, demographic challenges, regionalism, the cycle of prosperity, and the creative economy. Serving as a resource and/or providing support for other programs including Parents for Public Schools, Coastal Gateway Regional Economic Development Alliance, Kemper County PACES, Project Freedom 64, Meridian Main Street, the Education Policy Fellowship Program, and the Mississippi Rural Development Council. 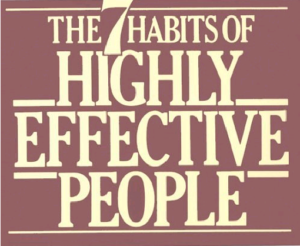 Specific program results can be found at the links below. Copyright © 2019 The Montgomery Institute. All rights reserved.